I got approached by Francis, who has a pretty beaten up Patek Philippe, and he wanted a quote, which I gave him. He mentioned that he had gotten a quote from PP, and I was of course interested! The watch is in pretty bad nick, as you can see from these photos. The case will need some work as well! Badly scratched throughout, but still good enough to restore. So my idea here would be about £200 or so for the case, as some filling in will be necessary. All the screws will need polishing, and some spare parts would be nice if they would be available. So if it were something with freely available parts, I’d say another £300 or so on parts, and £250 to put it all together. A dial restoration at £100, and that should round up things. So we would be looking at £850 or so. Now let’s see what Patek Philippe came back with. Please sit down, get a glass of wine, or better, something stronger, and multiply your estimates by quite a lot. This includes the disassembly and examination of all components, replacement, cleaning, hand finishing and adjustment of basic movement parts as necessary, crown, lubrication and regulation. This is a painstaking process of removing each individual layer of fired glaze, the meticulous refinishing of the dial to retain as many of its original detail, followed by the re-glazing of the dial by applying individual layers of lacquer then firing and polishing each individual layer. With wear and damage the original specifications of the watch case have suffered from their life of wear,Patek Philippe offer the unique ability to laser correct and repair the watch case, lugs and horns as close to the watch’s original splendour. To supply and fit an appropriate Patek Philippe genuine buckle. Patek Philippe keeps a written record of every single watch they have produced since their inception in 1839. The extract will give the original records of the watch’s provenance. At a total of EUR 6,225, a bargain! This is what happens if a manufacturer is allowed to have a monopoly on their spare parts. Everything depends on the value of what you are going to repair. 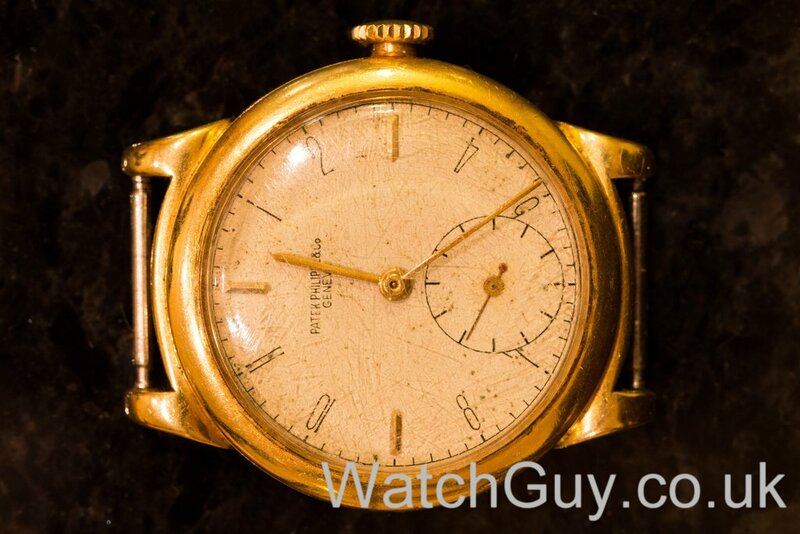 For a vintage Patek Philippe that costs in the market in bad condition at least 10.000€ it is really worth doing it. You are keeping the watch’s value and whatever repair is made is like never done because it is like putting it again in production line as it was when manufactured. There are hundreds of choices out there, nobody obliges you to take Patek Philippe, but if you do, yes they are the best and everything comes expensive. It is like having an Aston Martin and complain about service and spare parts costs. Everybody can go for a Toyota that never has troubles and within this way of thinking is even better, with cheap parts and everybody can fix it. I agree. 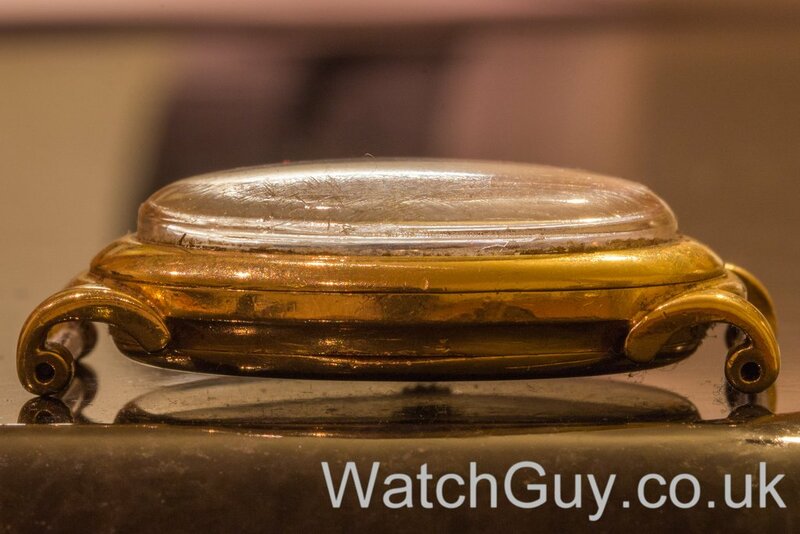 I have a vintage Patek from 1926 with square case and breguet numbers. It has a small problem with the crown when setting the time. I am thinking to give it to Patek for service. What do you think? Much as I love mechanicals, and especially vintage mechanicals, the maintenance costs and the current direction of the “houses” has steered me in a direction I never expected to venture: high end quartz. Even so, I will probably always keep one or two mechanicals around – which hopefully won’t be too challenging to find parts for. I also wonder about the future possibilities for 3d-print fabrication of parts. 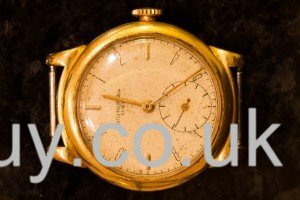 An amusing follow up to this extremely interesting blog post.. i bought a gold 1930s Patek last year in London for £7.5k + dropped it off at the shop in Geneva earlier this month for a restoration quote. They’ve just come back to me.. £12,800 for the full, two year job. The question is, would i see any of this money back if i was forced to sell it in the future?? 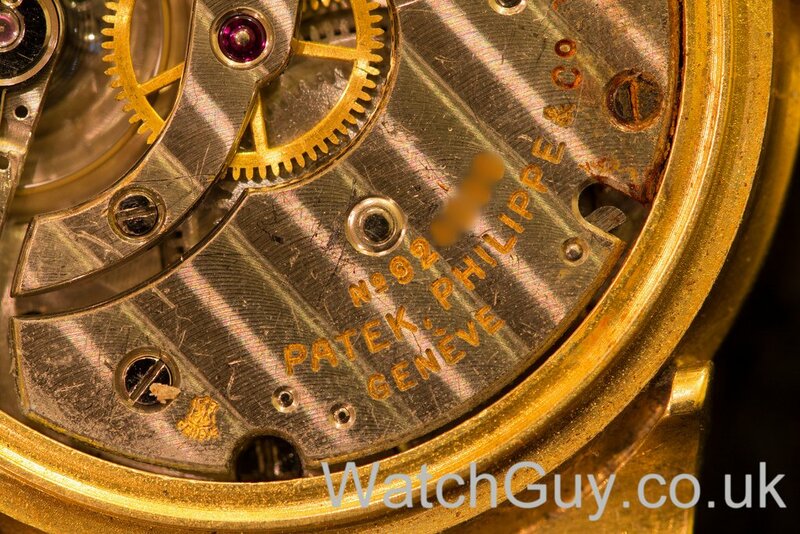 My husband was given a Patek Phillipe in recognition for service and it has something broken inside. He thinks it is the bottom bearing for the shaft of winding mechanism. We have asked various watchrepairers in the UK and France – we now live in Italy but they all say we should send to PP in Geneva. Our last guy even asked a dentist to effect a repair with laser equipment but he didn’t mange it. Do you think you could have a look – I am really sad that he can’t wear it any more. The watch was presented in 1971 and had a document saying it had a lifetime guarantee – bet they didn’t mean it ! I would contact PP with a copy of the warranty and ask them if they honour the contract. Well, while I might prefer sending my watch to you, it is always the decision of the customer what he wants. What I want to point out here is : you don’t need the buckle and the strap, if you want it you have to pay for it – it is as simple as that. 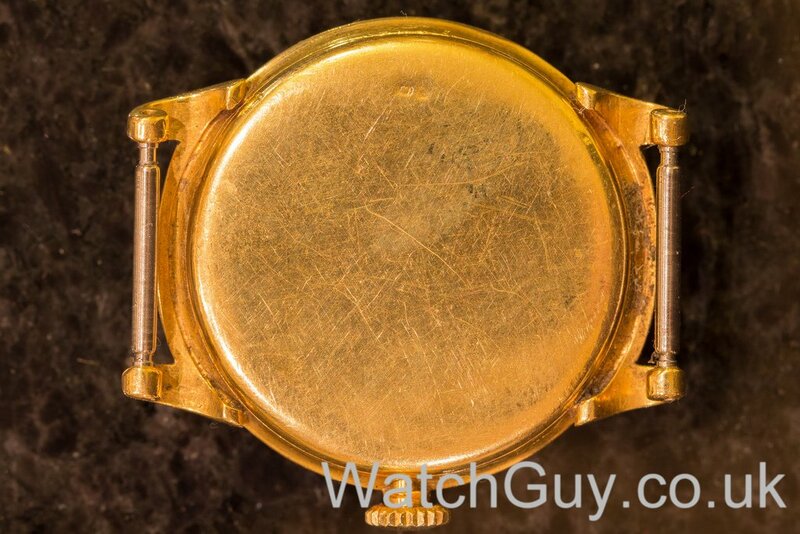 Second, what Patek is doing is restoring the case – not simply polishing it. So this is also something else and it is the customers decision to have it done or not. If for example I only want the movement done, and this one is in bad shape, I get one like new from Patek, I only get w very god CLA from you, but I will still have scratched bridges, but a great running watch, showing it’s age with dignity for something over 1000EUR, or I get a complete package and a like new watch from Patek at six times your price. Depending on state and emotion, I might go for one or the other option. I am actually happy that both choices are possible. i am a PP owner who values my watches for what they are, and not their financial value, however….. The additional 5,000 euro cost for the PP upgrade will increase the value of the watch by a similar amount or most. So you can’t just look at the cost, but also the increase in the value of your asset! I guess that depends on the model. A Calatrava with an EUR 5000 repair bill won’t be worth the original value + the EUR 5000. With higher priced models, I completely agree. I’ve got a relatively new Omega Speedmaster Cal 1861. Should I be worried? The watch has been in production for so long that there should be enough donor movements to make parts readily available, right? I would have a different concern if the movement was a co-axial. You will be fine for years to come… This will take quite a while to have a real effect. To be honest, I don’t think that the restriction of Omega spares will change things much for the vintage Omega collector. I have a few vintage Omegas for which spares have been unavailable for many years – the only solution is to have a donor movement. Fortunately, vintage Omegas were superbly over-engineered and should last many lifetimes with regular servicing – some of mine were made in the 1930s and still work faultlessly. The same probably cannot be said for modern Omegas which, lets face it, are not built to last. I personally wouldn’t buy a modern Omega (or Rolex or Breitling or Panerai or…..) for that reason alone. Omega are going the same way as Rolex so vote with your feet is my advice. Well, ever since rare watches, and Patek Philippe being one of them, have been bought up as investments by the like of Philip Stahl http://rolexpassionreport.com/Rolex.pdf, et al, would almost force the manufacturer to completely control what happens to their watches in order to keep the investment value up. Ferrari Classiche reports, Porsche Classic certificates, Aston Martin Works Service, and now the watches as well. Rolex apparently causes regularly great upset by polishing the cases of 1960-ties watches and replacing dials of nicely patinated watches with new ones. It was my understanding that Rolex owns the copyright to the watch and by that extension, if your watch is being serviced, they have the right to bring it into a “as new” condition without returning of the old items. Which brings a whole lot of upset and anger amongst the community as “wabi” aficionado’s. As a lover of nice watches but not really able to afford them, I saved up and bought an Omega seamaster automatic 1120 which is my pride and joy among a small collection of lesser watches, Tissot, Seiko etc. The thought of being forced to return it to Omega for service is disgraceful. More importantly, no company will hold me to ransom in this manner. As much as I love my Omega its not essential in my life and I will dump Omega without a second thought. From a vintage Omega watch perspective (only), as someone who’s only interest in Omega watches is in their f300 tuning fork lineup from the 70’s and for which new parts have not been made for 30+ years (heck, Omega sold all of their remaining parts supplies to Titus in the 80s!! ), I not too concerned by this news. I’m still able to find parts from parts watches, closed out watch repair shops and individual parts collectors/dealers readily, although sometimes a bit of a hunt is necessary. Sorry Omega! As far as your vintage watches, representing a hundred years of manufacturing, go, the genie is already out of the bottle! Now as to buying NEW Omegas … they can keep ’em! You are kidding… It puts me off to buy a calatrava, I guess the service for that would need a chair and good flask of brandy as well….. I do find this change to be of concern but, reflecting on this, so far I have not encountered any exorbitant pricing by the manufacturers for servicing. I have found Oris, Fortis, Omega, Cartier and Ebel to be reasonable and Ebel and Cartier both carried out pretty extensive refurbishments (which did take a long time). I have just got a 480£ quote from IWC for a full movement service + polishing of a pretty beaten up 1993 ingenieur (JLC 887 ebauche) which will need new hands (the minute one is bended), new glass (chipped) and a small spot cleaning on the dial because a bit of water seems to have entered this summer through the screw-down crown. I was bracing for something more, overall considering you have house warranty and all original pieces used and the convenience of just handing over the watch to a boutique and collecting it back 8-12 weeks later, I don’t consider it bad indeed, altough out of monopoly this will get worse in the future. The lack of alternatives is always worrying: what is especially of concern to me, especially looking at PP quote above, is that when you send this back to the factory they will quote you a full restoration while maybe you just wanted a light service, and I am not even sure you can negotiate a partial one. As a owner of a few vintage omegas it scares me to think that what i thought would be valued timepieces that i would pass to my son, will now possibly be rendered worthless in a few years due to omegas new direction. I know the cost to send them to omega for servicing will far outweigh the timepiece ££value. I know that moving forward i will be seriously considering any future purchases and seriously considering manufacturers such as Nomos. Really annoyed about this, I understand they want to maximise profit but this will turn people off vintage pieces in a huge way – which are how a lot of people interact with a brand and further the name. Funny that the first comment is about the auto industry… It’s actually heading the same way. Cars are now getting so complicated that you have to be trained in specific marques or even (engine, chassis) variants in order to work on them. And the manufacturer is the only place where you can buy the specialist tools such as computers (incl. software) to work on the vehicles. Why is this? Because the after market part of the auto industry is, by far, the most lucrative. Sales profits are marginal, but servicing and repairing cars are a gold mine. I’m not surprised that it’s heading the same way with watches. Sorry, I don’t agree with that comparison. I can walk into a dealership and buy any part I want for my old Mercedes. Whether or not I have the skills to install it is not the point. Also, it is not essential that servicing is done by a Mercedes dealership in order to maintain a warranty. European law is enabling manufacturers to do this as it is not regarded as anti-competitive (only a Eurocrats could think this). The motor industry has to supply parts to anyone, including now the machines to enable maintenance, and even allow the licensing of pattern parts as part of their block exemption which allows them to maintain a closed dealer network for new car sales. This was hard fought for by the independant motor trade a few years ago with their Right2Maintain campaign. It is not deemed anti competitive because the first time buyer is assumed as knowing about the maintenance cost upfront (yeah right!) and therefore can choose to buy a different brand. Even 100CHF to pull out a record is outrageous. They should do that anyway if they have the service work. An almost 100% increase on this for taxes and “markup” is an insult to the customer. The Swiss watch industry once went through hard times due to external factors. The next time will be self-induced. I recently bought 5 quartz watches for $3 EACH to give to some neighbour children. Guess what? They keep really good time! 160CHF for a Vacheron Constantin extract from the archives. Ridiculous. 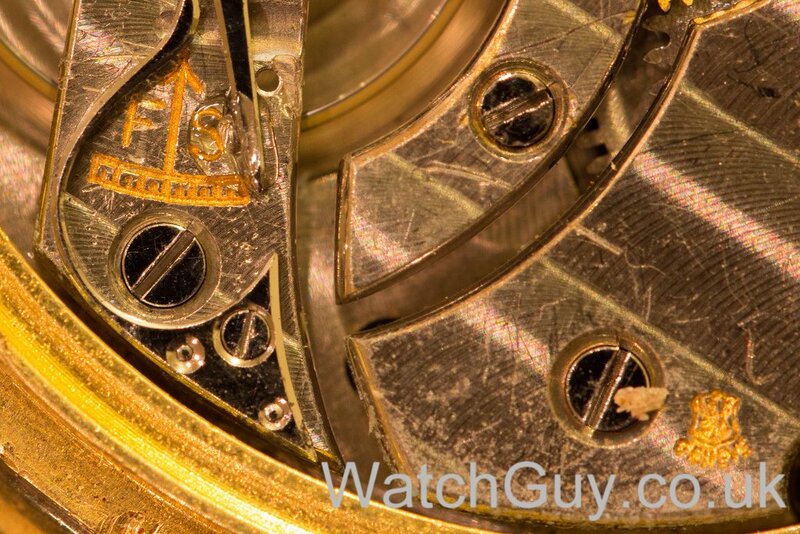 Hi christian very interesting piece on Patek’s repair prices some of your readers may be surprised, some not. With prices like these do the swiss want to repair watches or drive there customers into the difficult decision to just buy a new watch, and sell the old broken one on ebay?. In my opinion this will create a very negative feeling towards swiss watches, do they care about customers or just your money?. They are lots of nice watches coming out of Germany now do they guard there spares in such a way, or is this just a swiss thing. Yes, I think they are shooting themselves in their own foot. It will take a while, but buyers of Swatch Group watches will soon realise how expensive it has become to keep their watch serviced. This can’t be good for their brands. I guess with PP, you expect that, and that’s one of the reasons why you have one. Nomos for example is great – they sell their parts to any watchmaker, and at very reasonable prices, too. Fast and friendly service, and I can’t recommend them enough. Who else other than Nomos, Christian, makes it easy to buy their spare parts? I have always fancied buying a sow’s ear and getting somebody to turn it into a silk purse. Nomos watches are a silk purse already. It might be a good idea for someone to compile a list of watch brands that sell to independent watchmakers … that would be a good topic for a watchuseek.com discussion. No they’re not really shooting themselves in the foot. They are after new money and those people who will just spend on a new watch and those who will buy in ignorance and be stung when it comes to service time. What they are missing is that many fund new watch purchases by selling their old ones on and this market will dry up, however I don’t think they are bothered by this demographic. To be honest I don’t see that they have a tremendous amount to gain from this move considering the rest of their business. This would make a good TV program. The only thing that would change their minds is negative publicity. Thank you for the advice on the forthcoming restriction of Omega parts. It looks like Omega are shooting themselves in the foot, by cutting off their old customers so that they can rip off new customers – and I say this an on owner of one of their watches. On the watch forums, An old Speedmaster ‘Moonwatch’ is a very popular watch to own and many people seek out one made in the year they were born, trusting the service to independent repairers such as yourself. If this stops because of parts restriction then a lot of good will that owners show towards the brand may disappear overnight, which can only affect future sales. My own Seamaster Co-Axial will be needing a service in the next year or so, I’d better be quick or I’ll be forced to pay the £400+ that Omega quoted me! The watches are made in Switzerland by historical Swiss companies but most of those companies are themselves owned by non-Swiss conglomerates. I wonder how much control is applied by these others in the search for a quick buck? Which watchmaker is owned by a foreign conglomerate? Swatch is publicly traded Swiss company (Omega, Longines, Tissot, A. Lange, others), as is Richemont (Vacheron, IWC, Baume et Mercier, JLC, and Montblanc); Rolex is owned by a foundation set up by its founders; PP and AP are both owned by the descendants of their founding families. The only mid or high end watch (>$5k) that is owned by a company that isn’t based out of Switzerland would be Hublot, Tag, Bulgari, and Zenith, which are all unfortunately owned by Louis Vuitton and are a shadow of their former selves. I don’t think I’m missing any — which major watch companies, again, are owned by giant “non-Swiss conglomerates” excluding LVMH? First, A. Lange & Sohne is not owned by Swatch. Second, PP is not owned by its founding family. For example PP charge 100CHF for an archive extract directly from them. The retailer first applied their markup to this and then applier VAT coming up with a figure of €195. It was when I saw this crazy markup that I knew I had made a big mistake returning the watch through a PP AD and not directly myself so I approached Christian to see if it was something he would consider working on. I didn’t expected the contents of my email to become a public blog post but obviously this watch peaked Christians interest. Sorry, I should have checked with you before putting this on the blog, but as your full name doesn’t feature anywhere, I assumed it would be fine. So I contacted PP directly to get a quote for the watch repair cutting out the AD and this is what they came back with. While still a considerable sum of money it is 40% cheaper than the original quote from the AD. It doesn’t really shock me. Before finding your website Christian, I sent Grandad’s Omega off to (you guessed it) Omega for a quote. It came back to round about £1000. Considering this is pre-monopoly pricing, I can only expect that would go up in future. On the plus side for you Christian, you’ll be getting a lot of repeat business from customers playing it safe and having their watches serviced early to avoid breakages! The 2 quotes are not like for like but it’s ridiculous that the watch companies are allowed to employ such restrictive practices with regards spare parts. When you buy a car, you are not forced to go to the manufacturer for a service and can freely buy the parts. The motor trade is the exception rather than the rule in the EU, see my post above regarding block exemption as is the way many of us think it should work however the lawmakers and courts see it differently. There are similar problems in other markets, USA & Australia, as competition rules are based on the same type of tests therefore allow this kind of crap.